Further your dive training and improve your scuba skills with the PADI Advanced Open Water Diver Course at Underwater Vision! Are you looking to continue your diving education? If you have already learned to dive and have completed your PADI Open Water Diver course at Underwater Vision or another training facility and are eager for more bottom time, the Advanced Open Water course is designed to take you straight from the Open Water Diver course so you can continue to practice your newly acquired skills and have more underwater experiences! The Advanced Open Water Course at Underwater Vision ensures that with this additional time spent doing training dives under the direct guidance and supervision of some of Utila’s most experienced instructors, you will increase your confidence and build your scuba diving skills to become more comfortable and natural underwater. Join us in Utila at Underwater Vision and get more dives logged while learning new skills and building on what you already know. You will be amazed at how much more fun you can have scuba diving as well as the additional capabilities possible once you have completed the training for the PADI Advance Open Water Course! If you’re already an PADI Adventure Diver, you only need to complete two more Adventure Dives to earn the Advanced Open Water Diver certification. Wreck diving on Utila’s famous Halliburton cargo ship. Learn more about the Halliburton Dive Site. Night Dive and experience the complete change of underwater landscape and creatures as the sun sets on Utila and day turns into night! PADI Advanced Open Water Diver course is part of PADI eLearning. 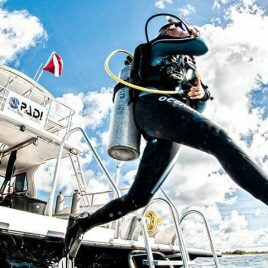 The eLearning for Advanced Open Water Diver gets you started right now with the background information you need for the seven of the most popular Adventure Dives (though you and your instructor can still choose any of the Adventure Dives.) Start Now with eLearning for Advanced Open Water Diver! Throughout the PADI Advanced Open Water Diver course you will use all of the basic scuba diving gear you used during your beginner scuba certification course. Underwater Vision will provide all of the equipment you will need for your PADI Advanced Open Water Dive training including specialty devices. 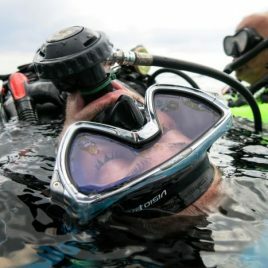 For example, certain course dives require different types of equipment so depending on which dives you will be doing you could be introduced to: a compass, a dive torch, a drop-tank, a lift bag, dive reels or other specific scuba diving devices! 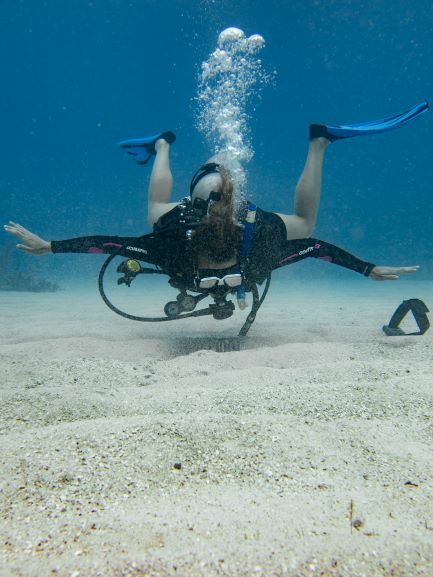 Visit Underwater Vision to get advice about everything you need for your diving adventures. Now that you have your fins dipped deeply into the world of PADI dive education and want to continue your dive training in Utila, take the next step forward with the PADI Rescue Diver course at Underwater Vision. 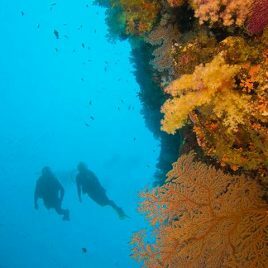 You may also get credit for each Advanced Open Water Dive you complete toward the first dive of the corresponding PADI Specialty Course! Perhaps you've just landed on Utila, it's been a while since you’ve been scuba diving and you you feel as though you could use some sharpening up on your scuba skills and knowledge. Don't worry! We are here to help! Brush up on and review your skills with a ReActivate Program at Underwater Vision. You will work with one of our certified professionals to get the scuba refresher you need. The Adventure Diver course is a subset of the [aowcoursepage]. Have you always wanted to try digital underwater photography, fish identification or dry suit diving? There’s a long list of scuba adventures you can take part in during this program. Complete three Adventure Dives and you earn the Adventure Diver certification. It’s a great opportunity to work with your instructor to build your scuba skills and gain more confidence. Get a taste of what you like and enjoy scuba diving more than ever. Don't be a helpless by-stander at the scene of an accident. Studies have shown that effective emergency first aid administered within the first few minutes of an accident increase the survival rate of accident victims significantly! Be prepared to handle emergencies wherever they occur. Learn vital emergency first aid skills which could mean the difference between life and death when you are the confident responder to the scene of an accident. There is something alluring about the deep blue water to a diver who has had a little experience. What is out there? What creatures may I encounter? For those divers who are ready to dive a little deeper, the PADI Deep Diver Course will take you to some of the deeper sites around Utila to experience deeper water diving and to encounter the creatures which make the mysterious deeper zones their homes! Diving and boats go hand and hand. Most of the dive sites around Utila are only accessible by boats although there are many dive sites around the world that can be reached by land (shore diving), don’t limit yourself and your diving adventures by being inexperienced on boats! All boats are different. Depending on where you are in the world the dive boats are as diverse as the cuisine, people and marine life! 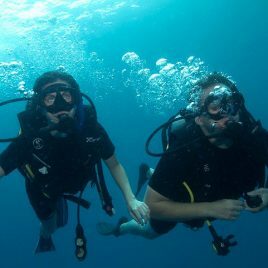 The PADI Scuba Diver course is a subset of the [owcoursepage] course. 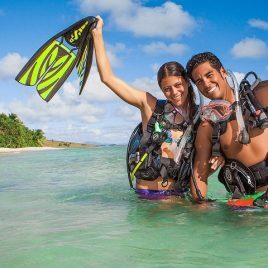 If you’re short on time but really want to become a diver, the PADI Scuba Diver rating might be right for you ̶ particularly if you expect to go scuba diving primarily with a dive guide. This course is an intermediate step for earning an Open Water Diver certification, if that’s your ultimate goal.